Here at Twenty Over Ten, our clients make up who we are. 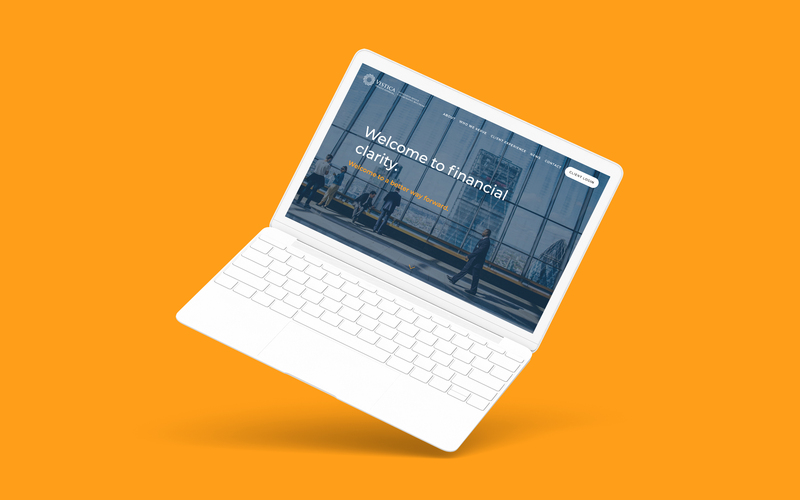 Every couple of weeks we like to chat with our clients to showcase their financial advisory business and their new website. 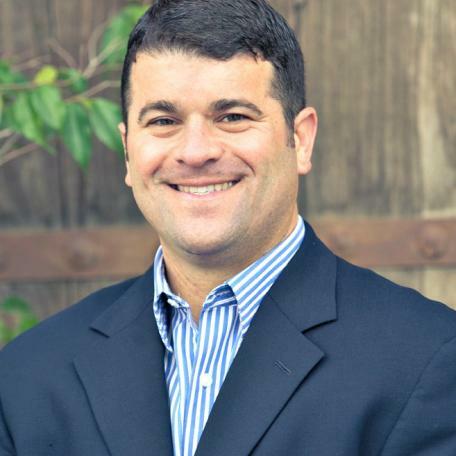 We got to talk to Jeff Vistica, wealth advisor of Vistica Wealth Advisors. Jeff and his team are experts in providing financial advice and investment advisory services. Tell us a little bit about Vistica Wealth Advisors and the story of how you got started. We help clients solve their most pressing tax, estate and financial concerns taking the time to understand our clients and provide solutions and expertise well beyond the typical investment portfolio. Vistica Wealth Advisors was really started in 2005 when Jeff launched a similar advisory firm. We embrace independence as it let’s us always put our clients needs first and let’s us work with the clients we choose to, our clients are great people, some great friends! 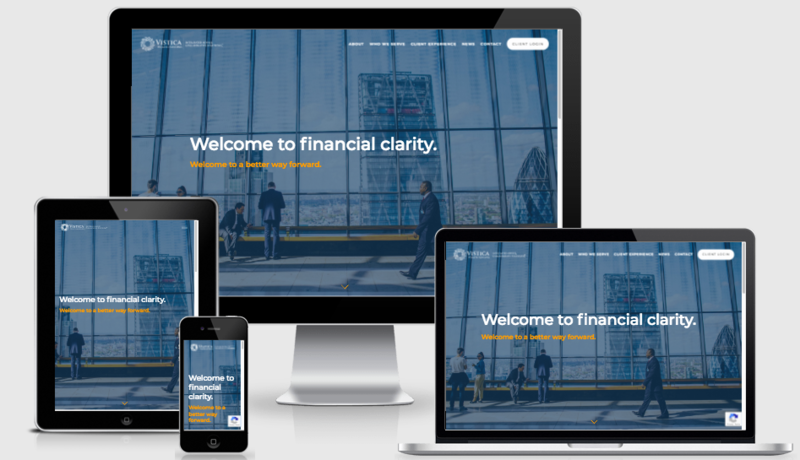 We strive to bring clients clarity in a highly conflicted and often overwhelming financial world. We like to think our work has a material impact to enhance the lives of our clients, their families and all effected. The approach you take with your clients looks to be fundamentally different. Please elaborate and tell us more about your unique approach. Sure investment management is the core of what we do. But to arrive at the right investment strategy for a client intertwines so much more. 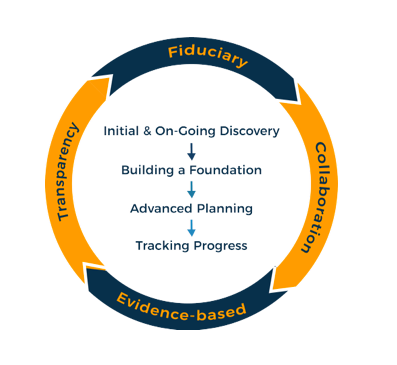 Family values, legacy and business challenges, family dynamics, special needs or circumstances are just a few sample factors that we help clients think through in our initial and ongoing discovery conversations. What vision did you have for your website and how does the final product live up to those expectations? We were looking for a simpler/clearer message for our site viewers, I think the client experience page does a good job introducing what new clients can expect from us. Your website turned out great! We love the clean design and also the identity theft protection checklist freemium you offer. Tell us more about how you went about collaborating with the Twenty Over Ten team to choose your design and develop the content for your new site. The process was simple and easy! And that says a lot for self proclaimed perfectionist to admit! You guys did a great job. We also understand Vistica is a part of The BAM Alliance. Tell us more about that partnership and how they’ve helped your firm. The BAM Alliance and BAM Advisor Services is a terrific partnership. They provide us leading technology, research, economies of scale and much more. The subject matter expertise they bring to bear on each of our client relationships is excellent peace of mind for our clients and us that we are truly looking out for our clients best interest and developing unique and creative planning solutions when needed. How do you stay up to date with the latest industry trends? We read constantly. Our firm believes in an evidence based approach, we largely follow the academic research that you would find in publications such as the Journal of Finance, Journal of Financial Planning, etc. Larry Swedroe’s blog at ETF.com does a great job of unpacking the dense info that comes out of those journals. We’re always looking to better our platform and processes – what did you find easiest and what would you like to see changed, if anything? The site editor and archiving tool is great. Honestly not sure what I’d tell you to change at this point. In the next 5-10 years, where do you see Vistica and the financial services industry heading? I see us continuing to grow at our desired modest rate. We are not interested in being the largest operation in town, we just want to be the best and indispensable partner for those who hire us. I see the industry growing and a huge demand for independent fiduciary advisors like us. Sure the robo-advisor platforms will likely continue to grow, but there’s no replacing the wisdom, compassion and experience of a human advisor. If you could give one piece of advice to other advisors migrating or redesigning their website what would it be? Keep things simple, I’d suggest not bombarding the site with too much info or data. Ready to Create Your Dream Website? 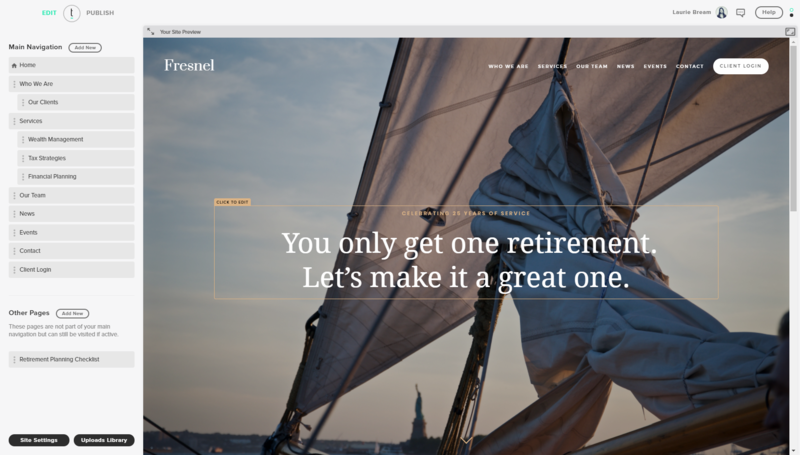 If the above wasn’t enough to convince you, peruse a few other advisor websites we’ve designed by clicking below! You May Also Like: Top 5 Tips for Marketing to the HENRY Demographic and Top 25 Google Ranking Factors for Financial Advisors.